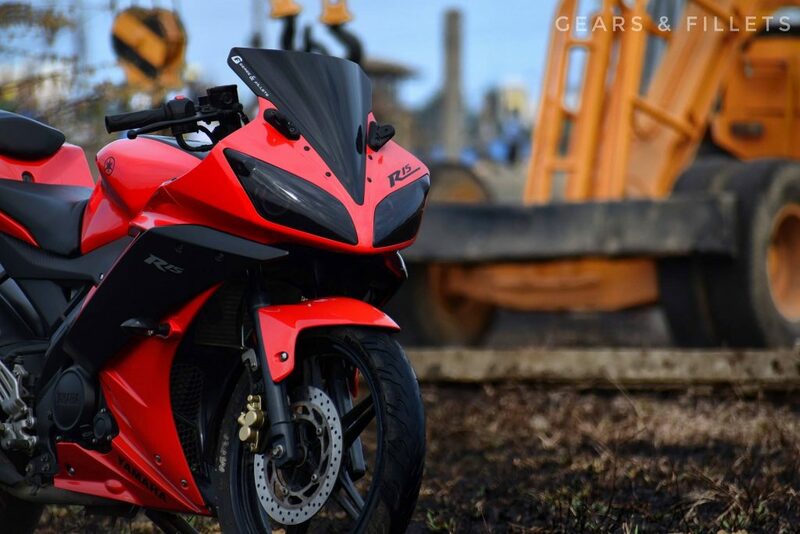 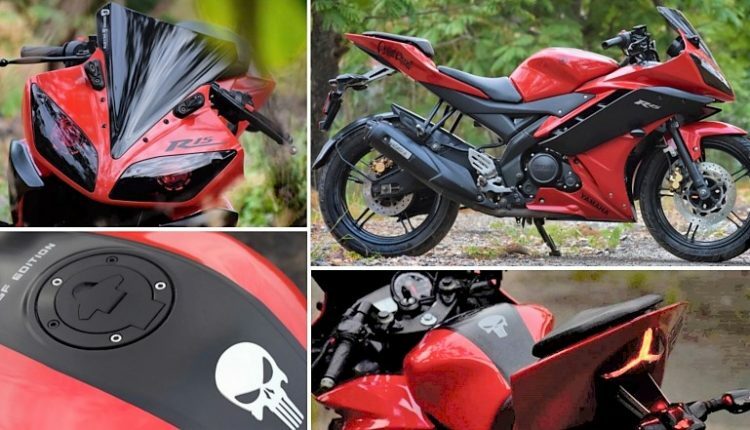 Meet Yamaha R15 GF Edition by Gears & Fillets: While everyone is talking about the third generation R15, Gears & Fillets brought their impressively wrapped Yamaha R15 V2 in Gloss Red and Black. 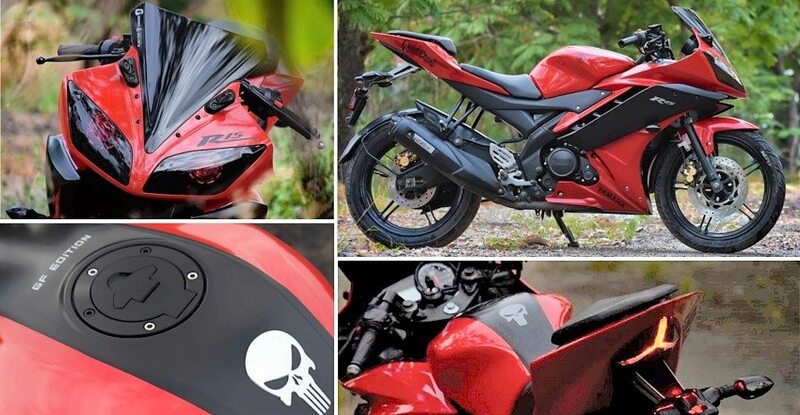 As stock shades of R15 V2 are filled with stickers all over, those who love watching plain shades would feel at home with this typical motorcycle. 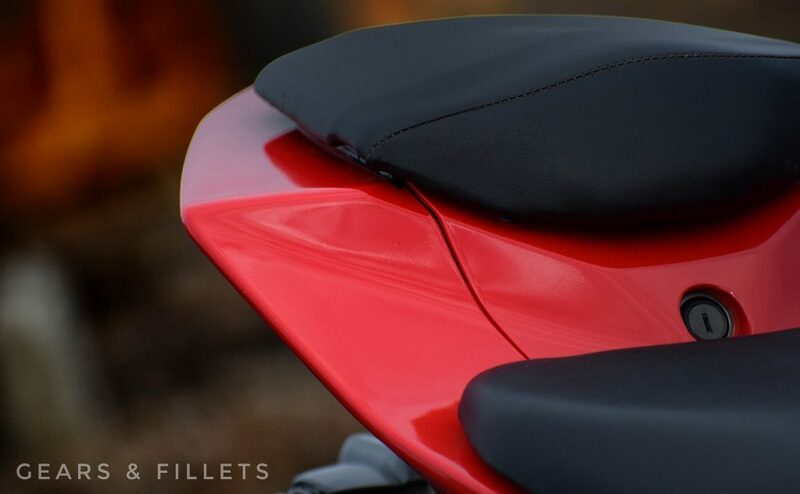 Using Red as major shade, they have offered black inserts at important positions to make things better than ever. 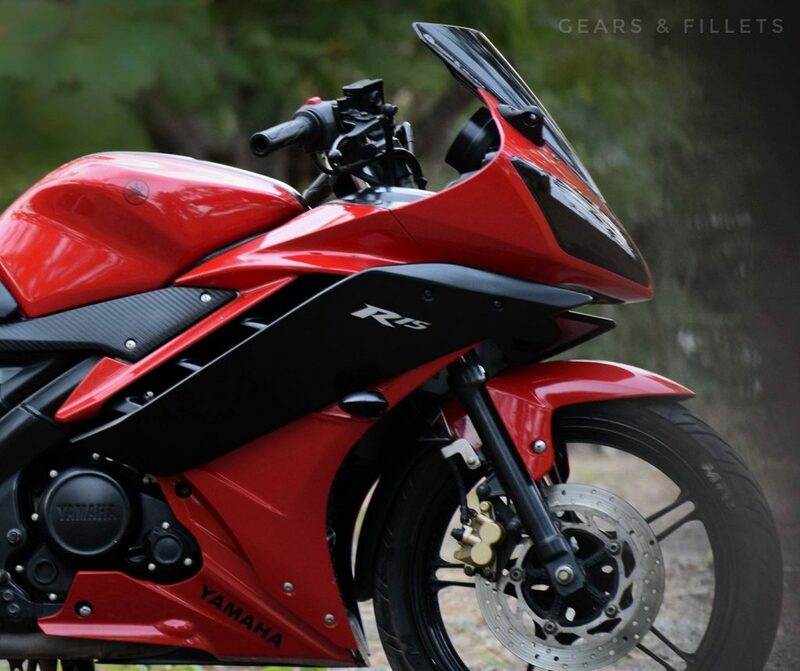 Alloy wheels were left black to get the best out of proportionate design language of the R15 V2. 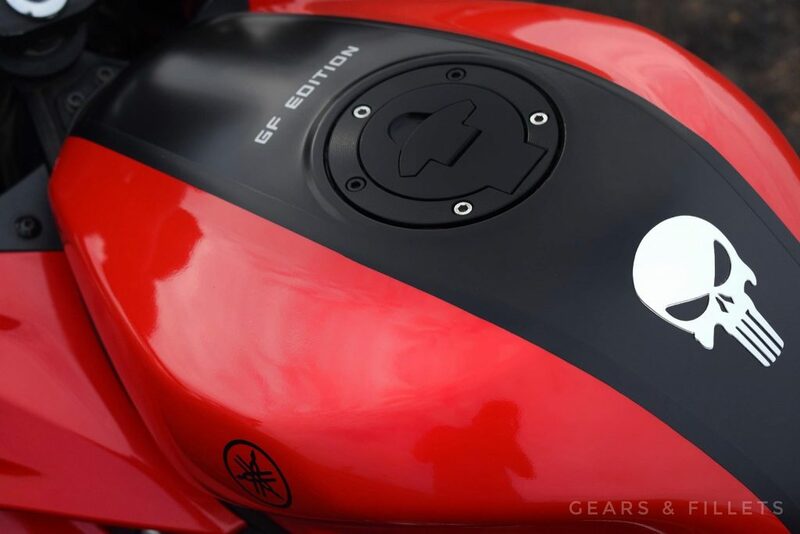 Inspired by the R15 V3, they have used Black stripe in the middle of the fuel tank on the bike. 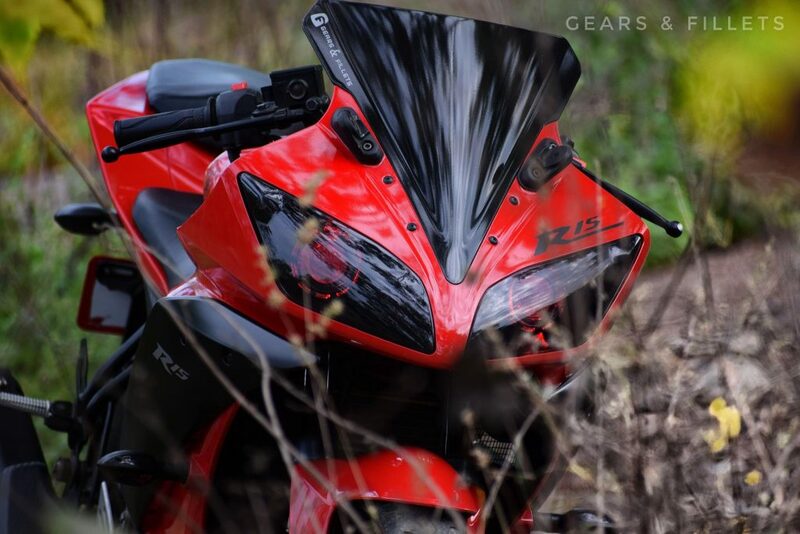 This angle also clears that Gears & Fillets have named this one as R15 GF Edition. 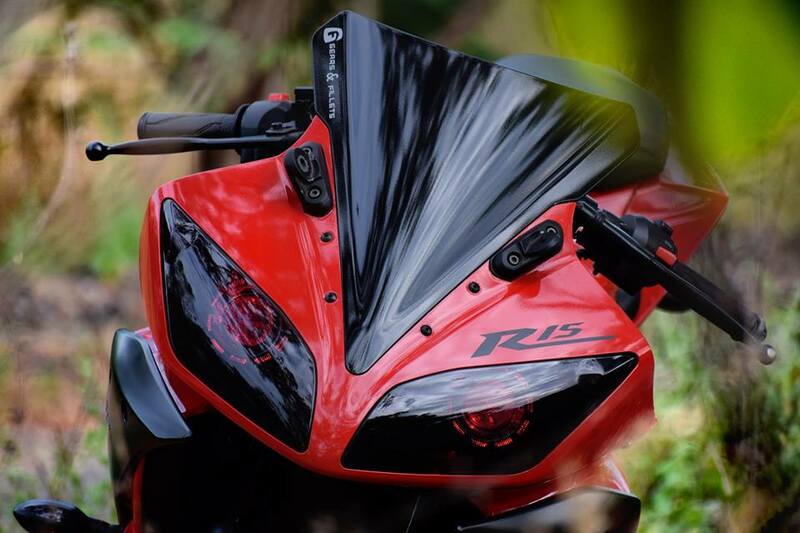 Headlights of this R15 are completely smoked and fitted with projectors that have red outer rings. 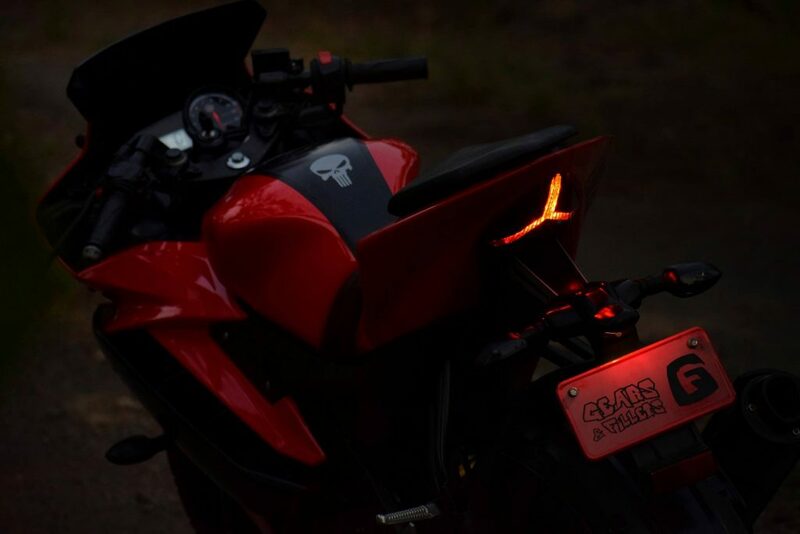 Rear light also gets wrapped in dark shade and flaunts an upside-down Y design area for the headlight. 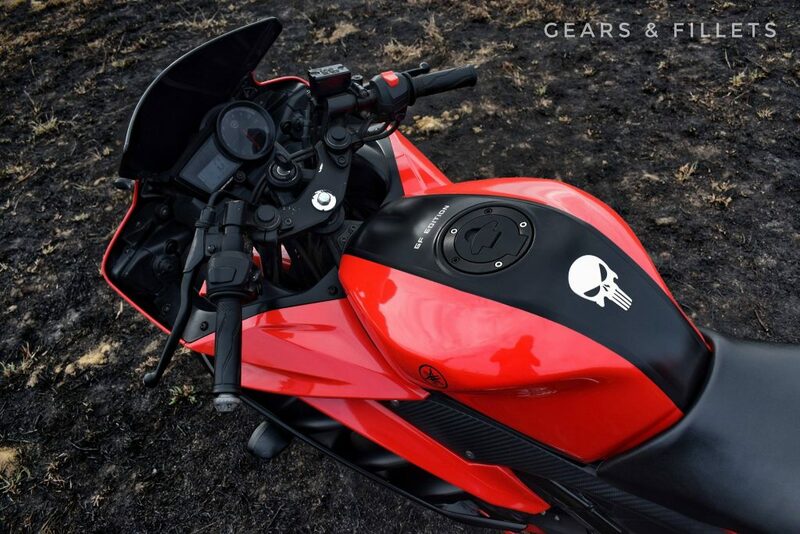 You can find a skull pasted over the fuel tank while all mechanical parts were kept stock for best riding experience. 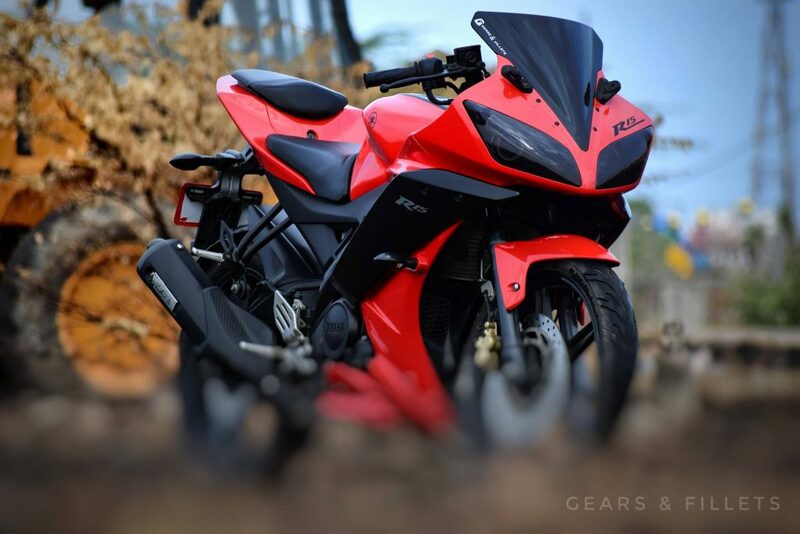 Yamaha R15 V2 is powered by a 149.8cc, single cylinder engine producing 16.8 BHP and 15 Nm of torque. 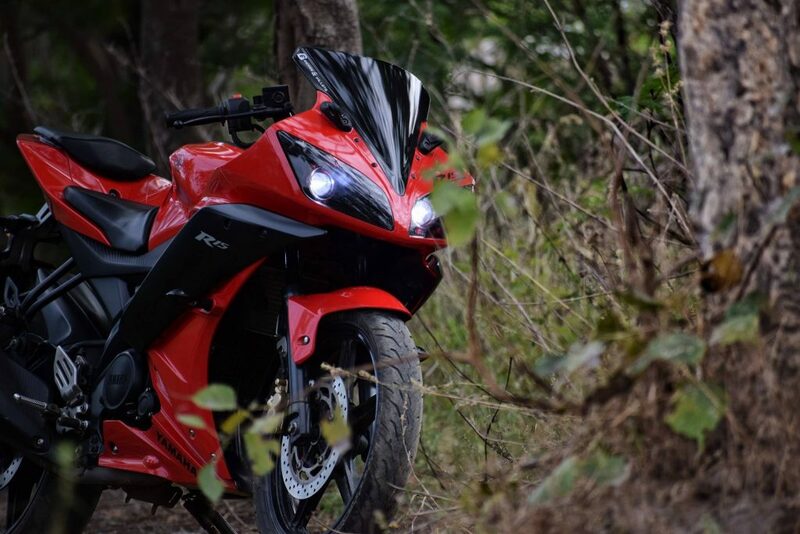 The engine is liquid cooled, fuel injected and comes with a 6-speed gearbox. 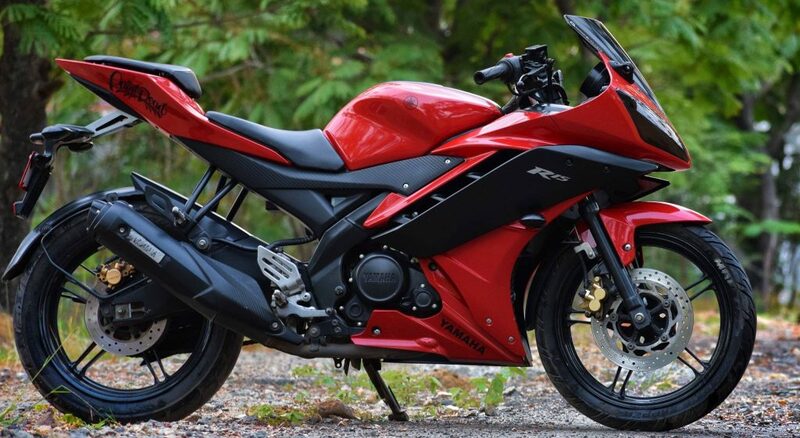 Yamaha recently discontinued the YZF-R15 Version 2.0 in India.